Each year, Quesada Cigars releases a limited run of their Oktoberfest blend - Dominican cigars blended specifically to pair with the flavorful Marzen-style beers of Germany's Oktoberfest. 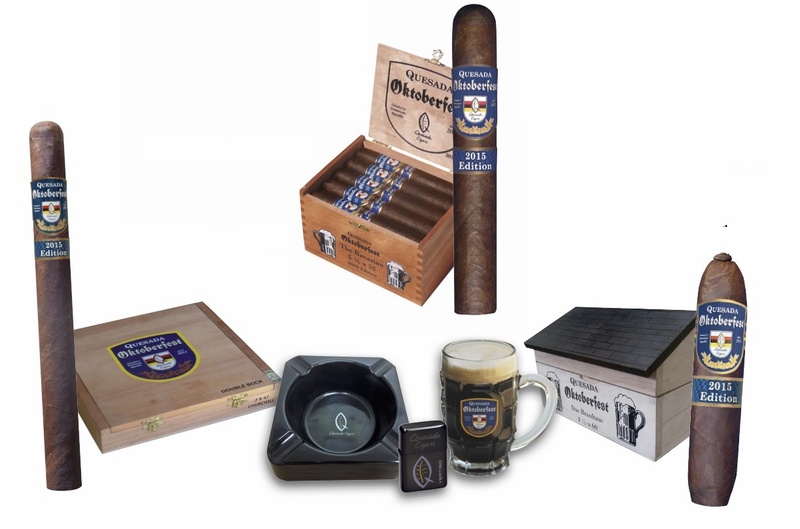 This year, Quesada Cigars has also released two sizes of Oktoberfest Limited Edition, a Nicaragua puro blend of tobaccos intended to pair with more robust, high gravity beers and rich foods! These Oktoberfest Limited Edition cigars are available only to select retailers, and Finck Cigars is one of them! Be sure to stock up on Oktoberfest cigars - once they're gone, they're gone!